On this page are a few audio utilities. They are all free and open source. LameTag.exe is a Windows command-line utility to read the LAME tag from an mp3 file. It is written in Delphi and is free and open source. There is also a GUI which needs to be installed separately… scroll down the page for details. Download: LameTag 0.4.1 – (Source Code). Reads every field from the LAME tag. 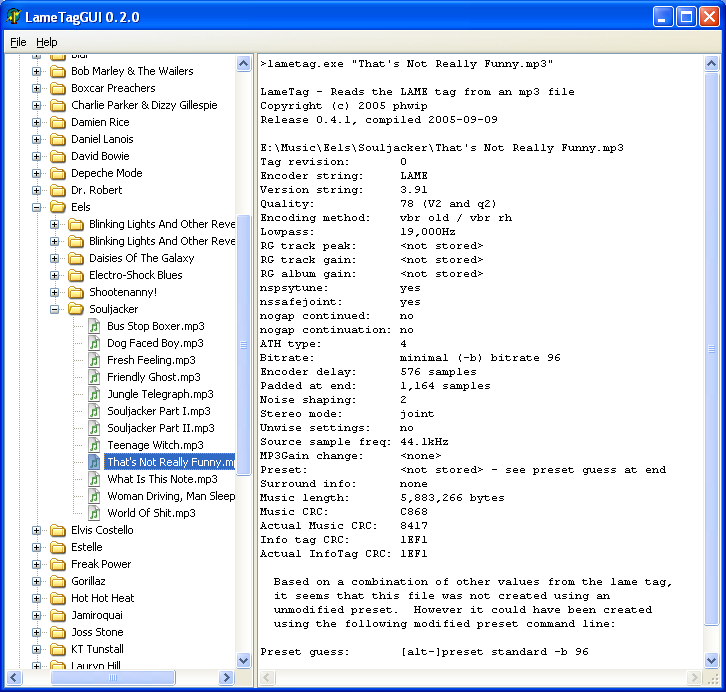 LameTagGUI is a GUI interface for LameTag.exe. This is also a free, open source Delphi application. Download: LameTagGUI 0.2.0 – (Source Code). Many thanks to James Heinrich who wrote the initial versions of this GUI and provided a lot of useful advice and support for the LameTag project. The LAME tag only contains up to five characters of the version number (eg. “3.96.” instead of “3.96.1”). 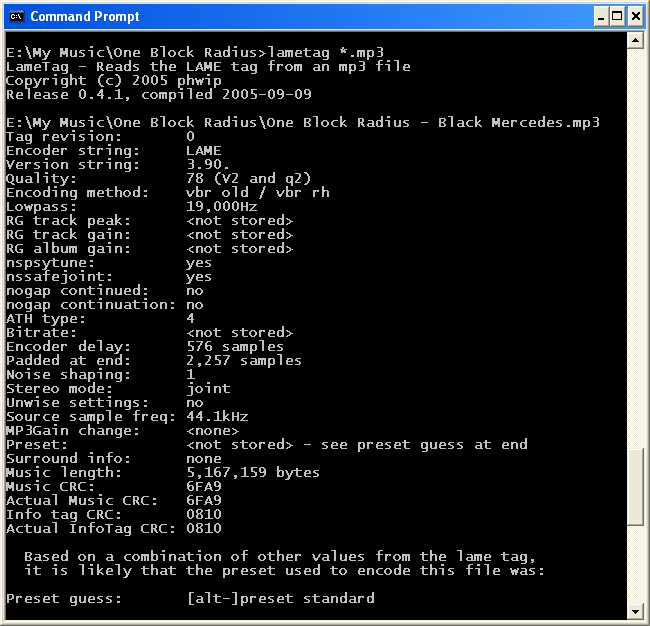 However, the full version number is often stored in the mp3 file’s padding. I’ve built a small command-line utility called LameVersion.exe to read and display this value. It is written in Delphi and is free and open source… it uses modified code from the ATL. Download: LameVersion 0.1.0. The zip file contains LameVersion.exe and the source code. I’ve uploaded an older version of LameTag (0.3.3) since euphonic on Hydrogen Audio informed me that version 0.4.1 doesn’t behave with Windows 9x. If you wish to use this version of LameTag together with LameTagGUI then you will also need an older version (0.1.3) of LameTagGUI. Download: LameTag 0.3.3 & LameTagGUI 0.1.3.